Where do you shop for plants? There are plenty of options: big box stores, local nurseries, heck, even your local grocery store! As many avid plant-lovers know, your local public garden will often host a plant sale once or twice a year. Now, I’ll be honest, this was something I only came to realize within the last ten years. I know, all that missed time, right? All we can do now is move on and keep an eye out for future public garden plant sales. As it turns out, ours is just around the corner on April 27th, but more on that later. Let’s get to the meaty details, what I promised you in our title: why shop a public garden plant sale? Now we’ve identified a few important details, but let’s talk more about them. Many of the plants for sale at a public garden are not the same ones you find in a big box store. It is not unusual to find plants that are more unique - and not so run of the mill - at public garden plant sales. 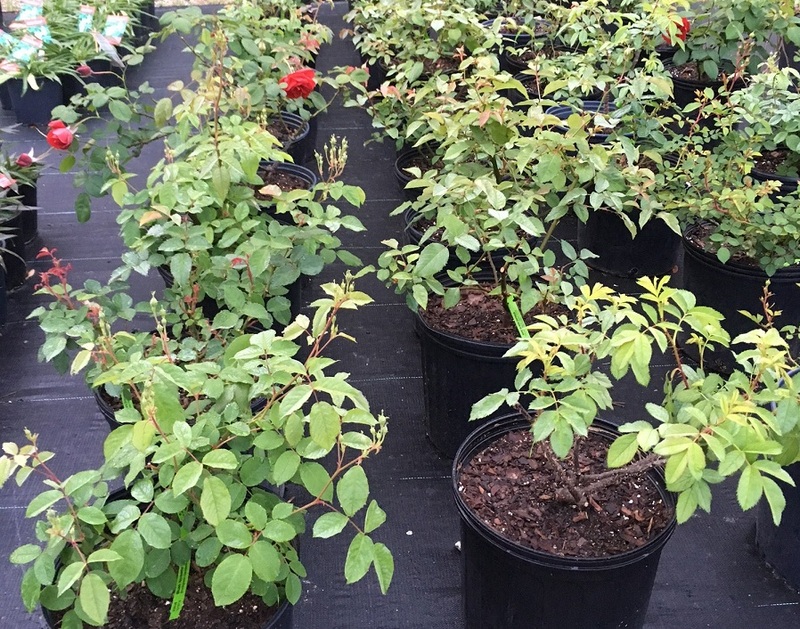 Sure, there may be some overlap, and you will more than likely find the same species of plants from both sellers, but the cultivars, or varieties, may be different. This difference in cultivars could be something as minor as being a bit smaller than the species, to being a completely different color or form. I don’t know about you, but I like for my home garden to be filled with botanical curios, and not just the same old thing all of my neighbors have. 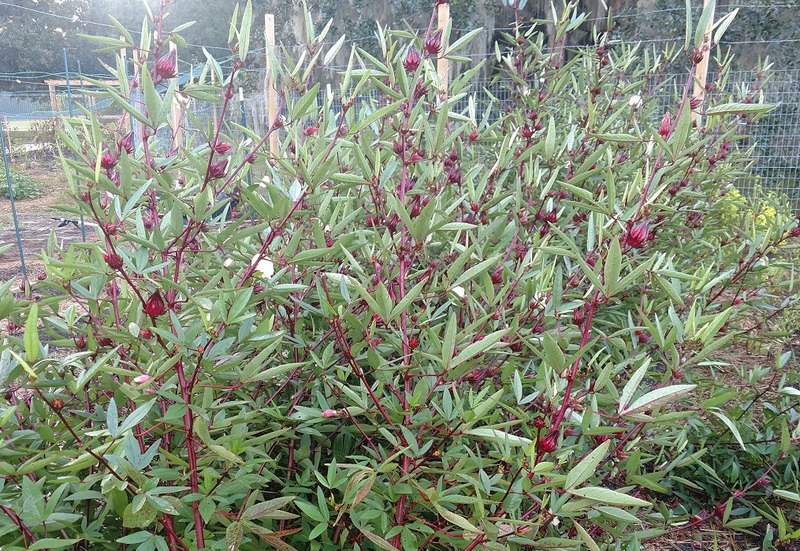 How many people do you know who have Hibiscus sabdariffa¸ the Hibiscus you get Red Zinger tea from, in their gardens? Well, it is pictured above and available for sale at our plant sale this spring. Shopping a public garden plant sale is a must! Now, this is a big one. 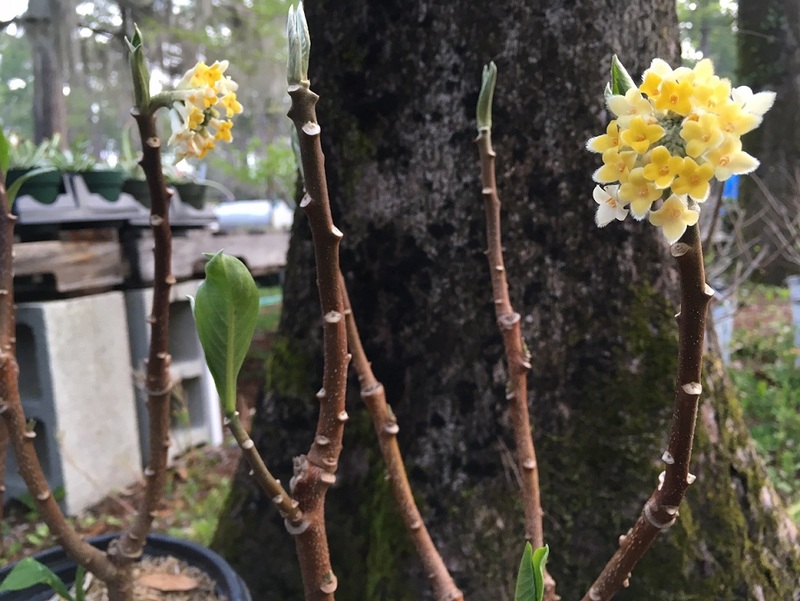 Public gardens generally sell plants they know perform well in their area, like Edgeworthia chrysantha, or Paperbush, pictured above. We want to offer you things we know work. Our job is to maintain our gardens and their collections; we get how frustrating it is to plant things that don’t work. That’s why we like to get the trials out of the way first and save you the heartbreak. Plants are often propagated on site. 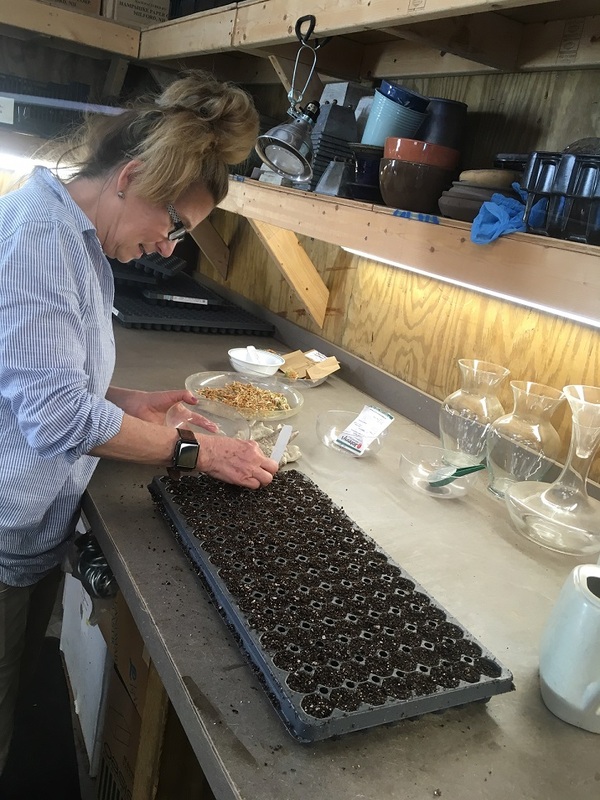 This can mean from seeds collected from existing plants or ordered in; taking and growing cuttings from plants within our collection; dividing existing plants from our gardens; and growing up plants we have ordered as plugs. People tell us how they want to take a piece of Brookgreen home. When you see a plant labeled as “Brookgreen Grown,” that indicates it has indeed been grown on site. That being said, we do order in some plants from other growers. These plants are ones that often take a while to grow to a saleable size or are patented and have to be purchased through an authorized vendor. 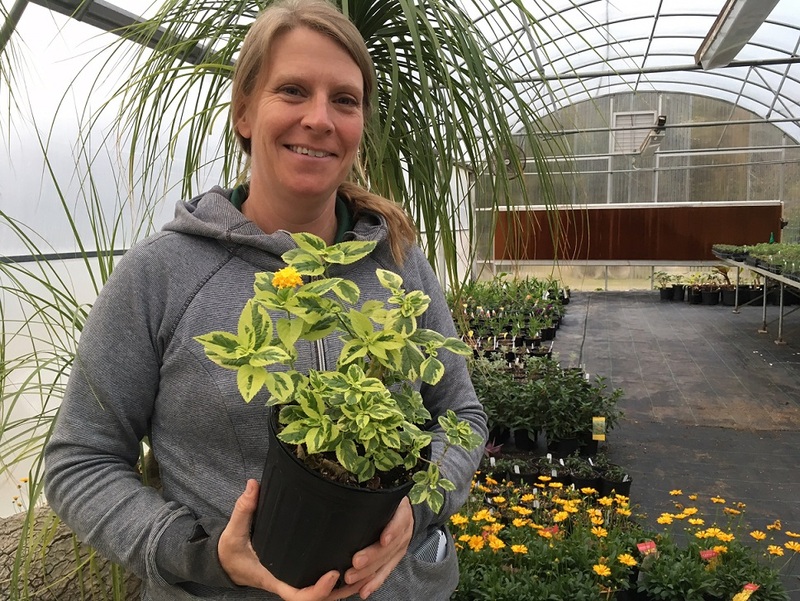 Our salespeople are our horticulturists. Speaking with a horticulturist who often has these plants within their garden areas gives you a glimpse into what it’s like to grow them. Remember those unique plants we talked about? As we mentioned, these plants are often ones propagated from our collection and are not so readily available, so our staff has a great understanding of them. Are you thinking what I’m thinking? Check out your local public garden’s website and see when they have a plant sale coming up. Mark that bad boy down on your calendar and get ready to make your neighbors jealous! Here at Brookgreen, we have two plant sales a year: one in the spring, this year on April 27th,, and one in the Fall, this year is planned for September 21. Our spring sale will be all day starting from 9:30 in the morning and ending at 6:30 at night, to coincide with our Brookgreen in Bloom programming and later hours. For more information about our upcoming plant sale, please check our website. Don’t forget to check out this teaser list of some of the plants we’ll have for sale!